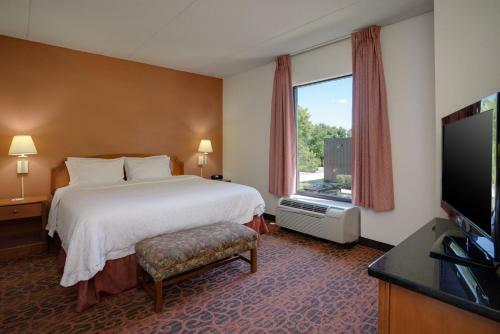 Within a short drive of the Burlington Historic District, this hotel in Mount Holly, New Jersey offers a free hot breakfast and free high-speed internet access throughout the property. 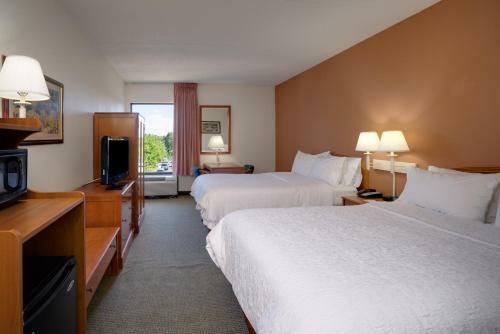 Hampton Inn Burlington/Mount Holly features an outdoor swimming pool and an on-site fitness centre. 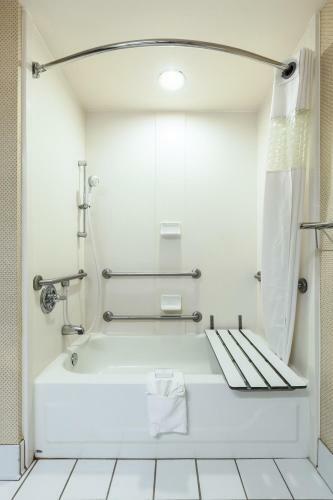 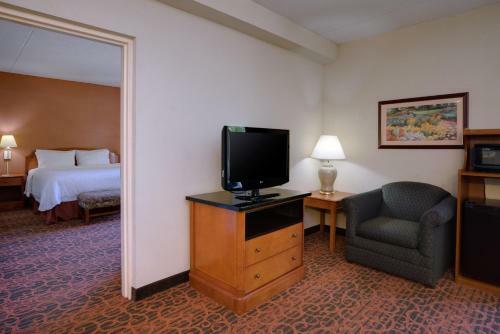 Guests will also enjoy in-room amenities such as coffeemakers and comfortable Cloud Nine beds. 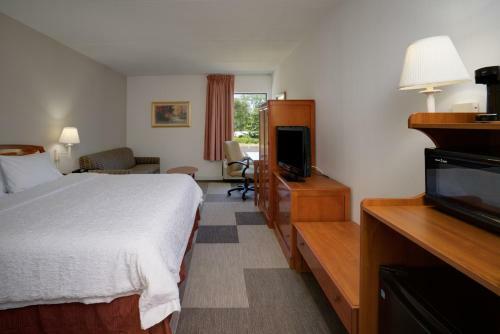 Guests at the Mount Holly Hampton Inn can take a tour of the Historic Prison Museum or discover the Battleship New Jersey, which is within a short drive of the hotel. 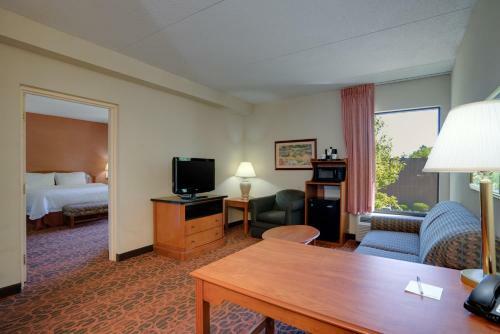 Six Flags Great Adventure amusement park is within 32 km of the hotel. 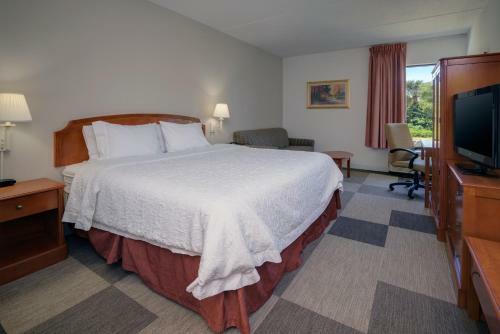 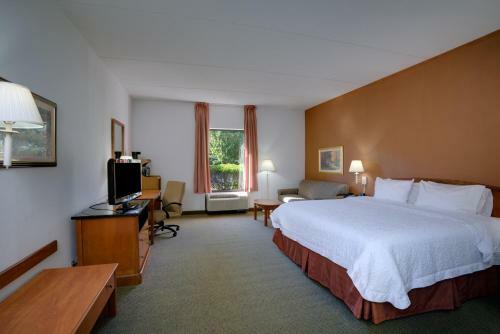 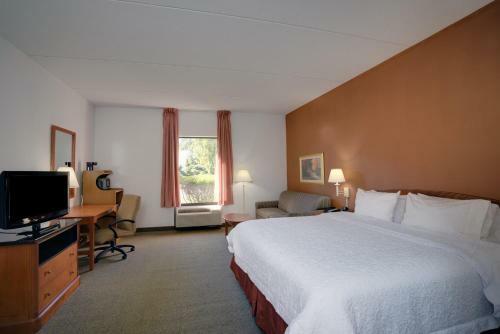 the hotel Hampton Inn Burlington/Mount Holly so we can give you detailed rates for the rooms in the desired period.